Digital Customised Effetec UV printer 3.2 x 8.4m. Effetec s.r.o. 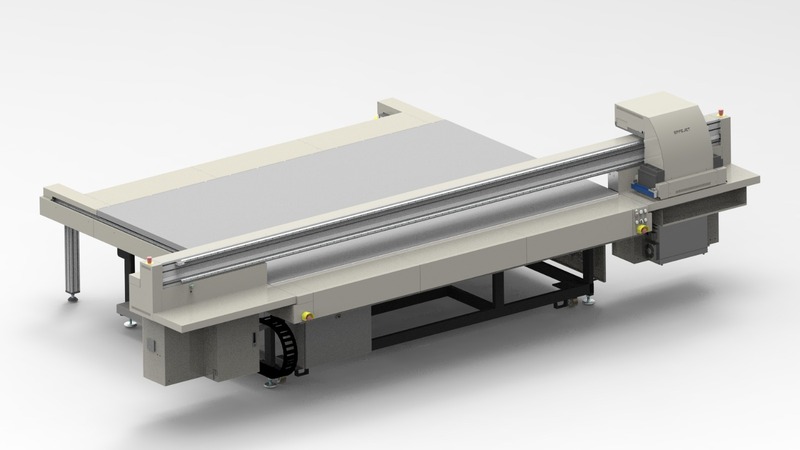 EffeJet, Customized Industrial Digital UV Printer 3.2 x 8.4m. Recently, the EffeJet industrial digital UV printer has been put into operation and has an effective print area of ​​3200 mm x 8400 mm. These parameters for the print size are absolutely unprecedented compared to the possibilities of similar devices used in the printing industry. And that was also one of the main reasons why the customer’s chose our product. The customer’s wishes were very demanding, with predefined requirements. The company of our customer was then visited by several reputable representatives of the UV printer producers. At last, the required printer parameters dimensions, software changes, print outputs were not met to meet customer requirements. Following this experience, the customer contacted our company Effetec s.r.o. After studying the requirements, we assured the customer that we are able to tailor the machine exactly to his requirements. Following the presentation of our product, the customer was very satisfied with the printer. He could see for himself the quality and efficiency of the print. The customer was also satisfied with our detailed proposal for further co-operation and the business was closed to mutual satisfaction. The customer has been printing for the last 10 months with the Effejet UV digital printer and has expressed full satisfaction with its high quality, speed and reliability. As a result, with just one Effejet printer, the original production quota is fulfilled three times faster than former technology. This gives the customer room to receive additional orders to fill the free production capacity. Our company Effetec s.r.o. also produces standard Effetec model printers under the F3221, F2132, F2512, F2116, etc. If your product is suitable for use with these models, we have these available. If your product will be a different size, then we can design your printer according to your current needs. The scope of our services includes, of course, the delivery of the machine, its installation and training. We feel that each successful installation of the machine enhances customer confidence in our company. We strive to make each of our business a mutual prosperity, which is the main purpose of our team. 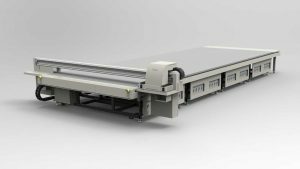 Specializing in the production of large-format printers has always been the domain of Effetec s.r.o., which has long-term experience with the development and production of UV printers. When developing and producing Effetec series printers, our company applies its own independent development, so we can customize the production models of professional-grade UV printers exactly to customer requirements. For our company, customization of digital printing is one of the main priorities, as evidenced by the introduction of the latest trends in this area into the company’s production program. This fact simplifies and positively influences communication with the customer in practice. For further collaboration with existing customers and potential customers, Effetec s.r.o.